The Walking Dead follows a band of survivors after the world is taken over by zombies. 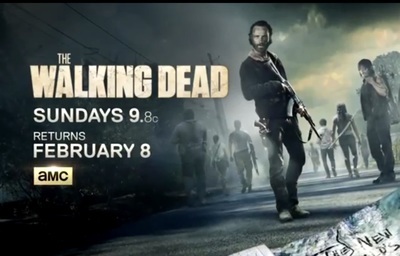 After an extended mid-season break, AMC has released the first 2 minutes of the return episode which will air on Feb 8th, 2015. The fifth season of The Walking Dead stars Andrew Lincoln, Steven Yeun, Chandler Riggs, Norman Reedus, Melissa McBride, Lauren Cohan, Danai Gurira, Chad L. Coleman, and Sonequa Martin-Green.